If your cat has suffered a sudden trauma or is experiencing any life threatening symptoms, please call your nearest SCVG hospital immediately. If your cat has suffered a sudden trauma or is experiencing any life threatening symptoms, please call your nearest SCVG hospital immediately for assistance and instruction. However, in the case of a cat emergency, waiting until "normal business hours" is not an option. In addition to your SCVG hospital, we recommend that you have a list of 24-hour emergency veterinary hospitals prepared in advance for your reference. Refer to the bottom of this page for some local recommendations. Difficulty Breathing: This is may be the most serious of all non-trauma-induced injuries, because hypoxia (low oxygen levels) and the events that follow can lead to respiratory arrest and possibly death if not treated quickly. In addition, when this is occurring, your cat is suffering and panicked. Difficulty breathing is an immediate emergency. It may arise slowly or acutely. Regardless, when you notice any of these symptoms, your cat is in trouble and needs veterinary care. Symptoms include labored breathing (this can be subtle but it looks like your cat's chest is moving faster and more pronounced while breathing, more abdominal effort, open mouth breathing or panting), making alarming noises, or puffing of the lips. If you see or suspect these symptoms, seek immediate emergency cat care. 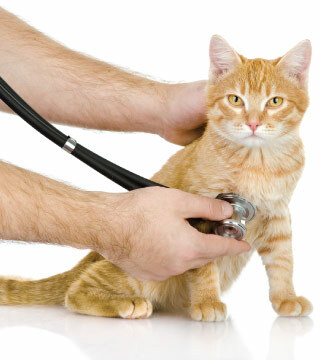 Of course, we cannot explore every possible emergency scenario here; however, if you are worried about the health of your cat, and especially if you are worried that they may be experiencing a life threatening situation, please call us immediately.